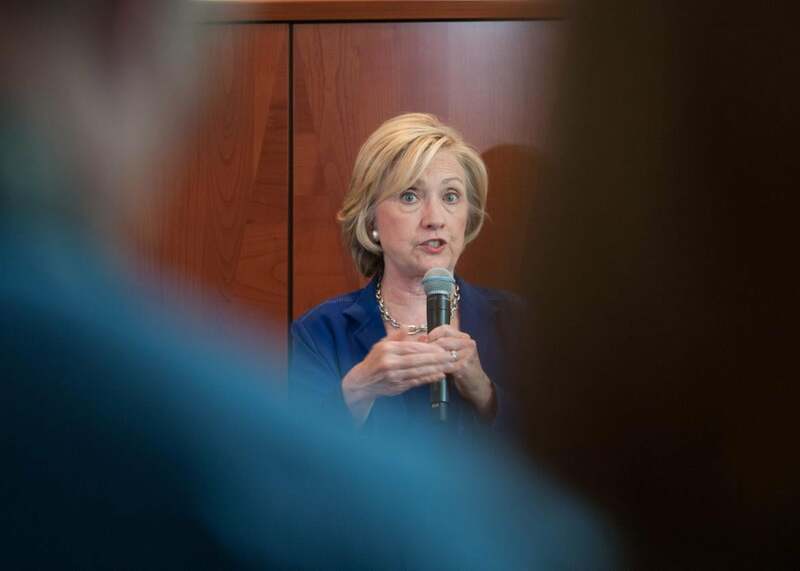 Hillary Clinton-bundlers: Clinton camp vows to release names of top fundraisers. Hillary Clinton addresses supporters at a rally in Ottumwa, Iowa. The decision was communicated in recent days to her top fund-raisers, known as “bundlers” because they bundle together contributions from networks of friends and business associates. Because candidates can only accept a few thousand dollars from any one donor, campaigns rely on teams of hundreds of such volunteers to raise a substantial portion of the hundreds of millions of dollars now needed to sustain a competitive presidential bid. Candidates are only required to disclose the names of bundlers if they are registered lobbyists, so Clinton’s decision to release a full list is a pretty clear attempt to go above and beyond what is currently required by law. By offering voters a look at the names of her top fundraisers—and, by extension, the industries they represent—Clinton is hoping to generate some goodwill in the transparency department, an area that isn’t exactly her strongest. Still, regardless of an individual candidate’s motivations, more is almost always better for voters when it comes to information about who is bankrolling a particular campaign. As an added bonus for Clinton, her decision also aligns relatively well with her larger promise to reform the nation’s campaign finance system. As I noted when she first made that promise in April, making such an overhaul a chief pillar of her campaign was a somewhat awkward proposition for Hillary since she stands to benefit so much from the very same system she’s decrying as unfair and undemocratic. She might not be willing to unilaterally disarm in the Citizens United-fueled campaign spending wars, but by releasing her bundler list she will at least have something specific to point to on the stump. Such transparency is not completely without risk, of course. Conservatives are no doubt eager to dig through the list looking for any questionable connections. Given how many times Clinton has survived similar lines of attack before, though, it’s unlikely that her critics will be able to do inflict serious damage unless they find their elusive smoking gun.